For a complete overview of the modules check out the course page. 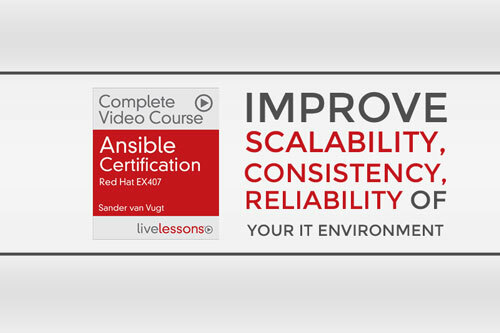 Become Ansible certified to prove you’re skilled to successfully automate, configure and manage Ansible. This course can be used as a secondary resource to get you started studying for the Red Hat Certificate of Expertise in Ansible Automation (exam 407). Get immediate access to the course via Pearson IT Certification.